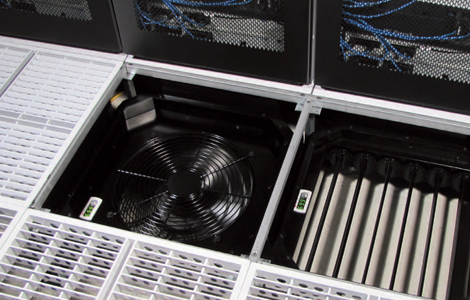 A new line of in-floor cooling solutions for the raised floor data center environment, DirectAire®, SmartAire® and PowerAire® offer increased cooling capacity to combat higher heat loads while gaining significant energy efficiency in both new and retrofit applications. DirectAire® is a high density directional airflow panel with 68% open air and a 93% total air capture rate. SmartAire® features an automated variable-air-volume damper to efficiently manage diverse and variable heat loads. PoweAire® provides fan assisted airflow to eliminate hot spots.